No matter what we go through in life we can rest assured that His grace is sufficient. It is enough. We all have days when we feel like we have failed miserably at the job God has give us. Whether it is parenting, or outside work, we need to trust that we will be okay because God has given us enough of His grace to make it through. 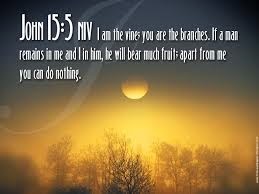 He is working on us perfecting us into the person(s) He wants us to become. We may take a few wrong turns but we can rest assured He will continually change the road signs when necessary to get us back to the road home. If it were not for His grace we would never make it to Heaven, we would never meet Jesus face to face if it were not for God’s grace. HE has chosen to unleash grace upon us regardless of who we were before we came to Him and answered His call. If it were not for that grace we would be murderers, thieves, or worse; but for the grace of God go we would probably be worse that the worst person we know. It really bothers me when people who clam to be Christians go around telling lies about one another; they argue and grumble then allow themselves to speak untrue things to make themselves feel better. It doesn’t even matter if we are in the right when we get are upset; once we act on our emotions we are walking the wrong way. Like Paul says if it were not for the Grace of God we too would be doing whatever it is we are thinking, accusing, or blaming someone else of doing. Why not pray for the person who is harming us as we see it? Why not take the time to encourage someone who is being spiteful toward us? My mom used to say “You can catch my flies with honey than you can with vinegar.” This is what I think God wants us to know; if someone is doing us harm it means they need more of the love of Jesus. It means that we need to pray for them even more. Now am not saying to stay in the presence of someone who holds a gun to your head, but instead get away and pray for them still. If it were up to me, or you, some people would never find forgiveness; but God forgives and wants us to be like Him. Thanks to Jesus for giving us direction in our lives! Praise God that He brought Jesus to us to save us from our selves, as well as our sins. For if it were not for the grace of God we would be walking in the world today; doing what we thought was the right thing to do and doing it all wrong. The Israelite people tried for years to do the right thing, then they walked off and did it their own ways. Finally God had enough and sent Jesus to be forgiveness and grace was given to all. Because of Jesus dying for us we must pass on the gift of grace to others. Today when someone cuts you off on the way home; lift them up in prayer for safety. When someone flips you off or worse for doing whatever you did or didn't do; lift them up in prayer for peace. There but for the grace of God go we. Dear Heavenly Father, Thank you for your Grace. Thank you that it is enough to change, love, direct and guide us as well as forgive us. Help us to walk in Grace, each day as we walk in Your will and in Your Word, IN Jesus name, amen.